StarGate provides some technology based loosely on the television show Stargate SG-1. Stargates allow instant travel over long distances or between dimensions. 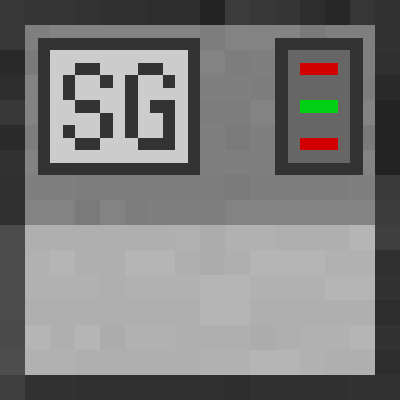 They may be used on their own, or optionally powered by IC2 or Thermal Expansion energy and controlled by computers from Computercraft or Open Computers. Guys, suggest changes that you would like to see. While I know your random energy levels will be for loot tables consider the possibility that you can actually make them. If the item is there you don't have to bother too much about the methods to create the ZPM - let minetweaker handle the crafting needed for those that wish to add it in. The wiki is blank. Can these be operated through their own GUI or included machinery? Or does it REQUIRE something like OpenComputers to program it? All on the idea as in the series. Can be controlled with the Stargate Controller. Thx for the response, but I didnt realize this wasnt for 1.12.2 ... guess ill just keep an eye on it. I'm now working on porting to new versions. I hope to finish soon, because only recently I started comprehending the writing of mods. Did you give up on this? In what way is this different from https://minecraft.curseforge.com/projects/sg-craft/files/2365301 ? -Fix a crash when installed with "OpenComputers - 1.7.0.1085"
I'm sorry, I was not particularly worried about the license. But the author has a personal permission.